In general, I think it's a good thing if guys don't 'show leg'. However, there's one occurrence where I consider it acceptable: when sporting the Patagonia Strider running shorts. As an avid runner (barefoot and minimally shod), I've worn all types of clothing when I go out and put some miles between me and my cares. Most of the shorts that I've worn, I'd consider too long and obtrusive while running, or too short and obtrusive to the general public that sees me run past. Patagonia makes the shorts with the perfect inseam for me - 5". However, if you're legs are superbly long, unlike mine (I wear 28-30 length pants), then the 7" inseam pair is indubitably for you. There's also a 3" inseam version...which I cannot approve of. I don't know where the line is between 'good running short' and 'uncomfortable speedo-looking short' - but the 3" toes the line a bit much for my liking...even with my shorter legs. All in all, the shorts are great! There's not a lot of frills to them, just a lone interior pocket for a key and/or money - which lends to them being quite light. Also, they fit the body snuggly, yet not so tight you feel like you’re putting on tights or cowboy jeans. I'm a fan of the Strider Short, and I'll sometime rock the Torus Short by Arc'teryx - though it's not, strictly speaking, made for running. 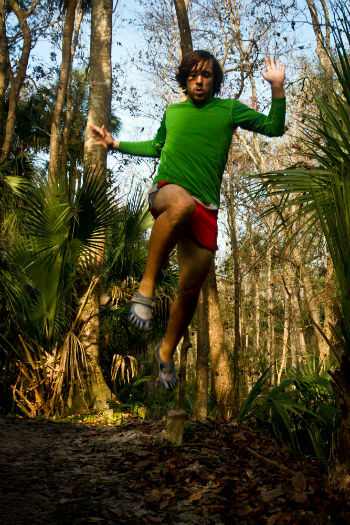 But, you should definitely check out the Strider Short if you're thinking about getting a good new pair to run in. Just don't check me out when I'm running by you - they're still pretty short, and I'm a little self conscious.